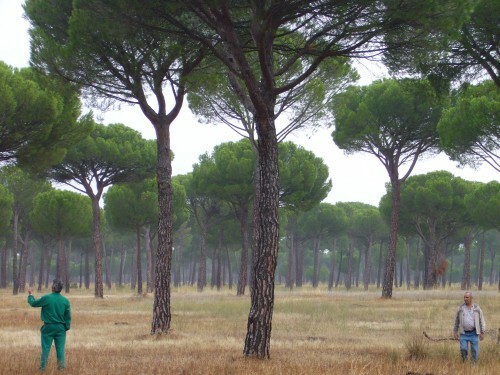 The first step takes place in September, with a visit to the pine-woods to find the most adequate and most productive trees. 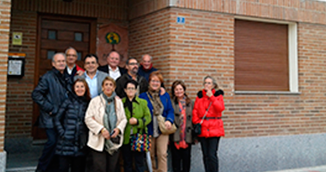 From November to March, pine-cones are collected by the pine-nut collectors (called piñeros or human squirrels), that sometimes climb up to 14 meters to pick the desired fruit. 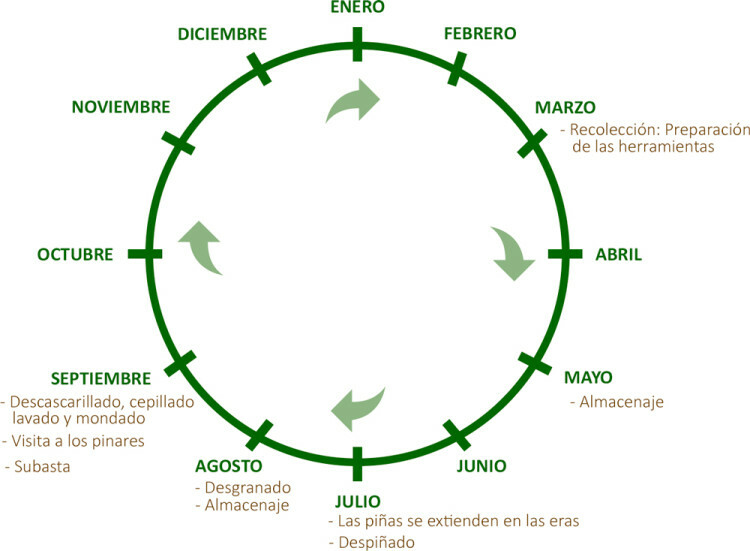 From April to June, the harvest is stored, and at the end of June, the drying process begins. In July and August, the nuts are removed from the cones. Taking advantage of the summer sun, the pine-cones are laid out so that the heat and sunlight make the cones open up and release the pine-nuts. 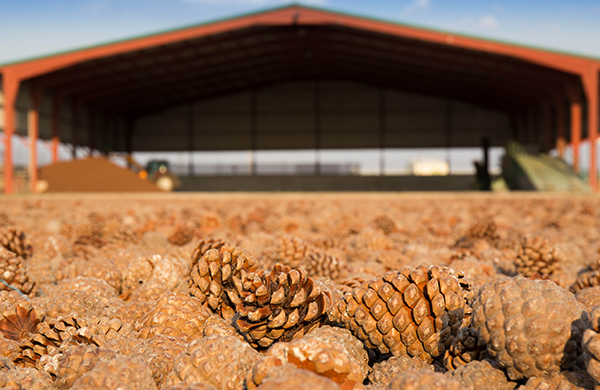 Once dry and open, the pine-cones are collected and sent to the thresher. Later, through different-sized screens, the pine-nuts are separated from the pine-cone fragments. The remains are used as fuel. Once the pine-nuts, still with their shell on, have been separated from the pine-cone, the fruit, we store them in large silos. One day before shelling, we put the nuts in water vats, making the woody shell softer. The wet pine-nuts get classified by size. They are sent through cylinders that split the shell and then a pump separates the shell from the pine-nut proper. The next step is cleaning and peeling. In this step, we separate white pine-nuts from bad pine-nuts. We use sorting machines with photoelectric and colorimetric sensors to classify the nuts. 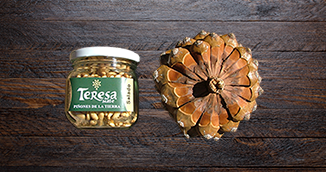 After cleaning and peeling to ensure the fruit we offer is of the highest quality, we carry out a further cleaning and peeling process by hand, selecting the best pine-nuts one by one. Lastly, we brush, wash and package them. 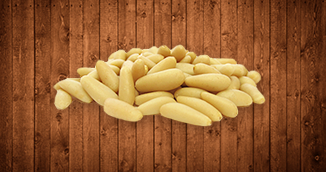 The brushing removes the brownish colour from the pine-nuts and makes them shiny. The washing is carried out using only water, and then they are dried. In very hot periods, the nuts are also sterilized, to avoid pine-nut spoilage.